This is a wrongful death hospital malpractice lawsuit filed by the decedent's widow in Baltimore City against Good Samaritan Hosptial after a man died from a fall suffered during discharge from the hospital. This case was filed in Health Claims Arbitration on August 17, 2016. It is the 408th medical malpractice lawsuit filed in 2016 in Maryland. The decedent, a 65-year-old male, goes to Good Samaritan Hospital's emergency room as he is suffering from congestive heart failure. He has a history of diabetes, amputation of his fourth and fifth toe on his right foot, coronary bypass surgery, and multiple stents in his heart. When he arrives at Good Samaritan, the staff notes that his history indicates pulmonary hypertension and other heart issues. The following day, he is admitted and transferred to the main hospital due to chest pain and congestive heart failure exacerbation, with increased opacification of his left hemithorax, indicating fluid building in his left lung. The staff notes that he is only able to transfer from sitting to standing with assistance and that his gait is impaired. The next day, his gait remains impaired and he is a high fall risk. Two days later, the staff is preparing to discharge him. His sister-in-law is at the hospital to transport him after he gets discharged. However, the decedent is transported to the vehicle by only one health care provider, who allegedly is only 120-130 pounds and is 5 foot 2 inches. Decedent is approximately 300 pounds. While the staff member is attempting to assist him, alone, in transferring from the wheelchair to the vehicle, decedent collapses and falls onto the pavement, striking his entire body. Emergency personnel respond and transport him back into the hospital. As a result of this fall, decedent sustains significant injuries, including a T8-T9 fracture, which completely transverses his anterior and posterior column. Good Samaritan Hospital transfers him to University of Maryland Medical Center Shock Trauma, where he suffers from suspected respiratory arrest and receives drugs, cardiopulmonary resuscitation, and shocks. Unfortunately, the decision is made to withdraw patient care while decedent is in the ICU. Less than 30 days after his fall he passes away. Medical malpractice cases are very expensive to bring. Our will can easily spend upwards of $100,000 in even a garden variety medical malpractice case if you do the things you need to do to put yourself in a position to win. Complex cases will cost even more. This fall case will likely cost less than $20,000 to take to trial. It is a very simple issue. From a complexity standpoint, this is more like an auto tort case than a medical malpractice trial. This case is no slam dunk for the Plaintiffs. Does the standard of care require that the hospital provides enough staffing to transfer a 300-pound man who is being discharged? Does the evidence support the notion that this guy could not transfer to a wheelchair without significant assistance? Did he have prior falls? The hospital's protocol that outlines risk factors for fall risk is going to be important in this case. It will also be important whether a complete full risk assessment must be done upon discharge and whether the proper fall precautions were put in place in accordance with the fall risk assessment scores. Was a discharge planning assessment done for this man? There are two primary tools for a hospital in assessing a fall risk. One if the Morse Fall Scale. The other is the Hendrich II Falls Risk Assessment. Most fall lawsuits are nursing home cases. Here are a few sample cases and the allegation against the nursing home. Tarleton v. Glen Burnie Health and Rehabilitation Center: An elderly man at Glen Burnie Health and Rehab Center falls and breaks his hip and eventually dies A week later he dies, and his son files both survival and wrongful death claims against the facility. Eichelberger v. Emerge: A vulernable adult dies in a nursing home. The family alleges that an appropriate fall protocol was not followed. Ballard v. Aurora Senior Living of Manokin: A woman falls on the way to the restroom and fractures her hip. 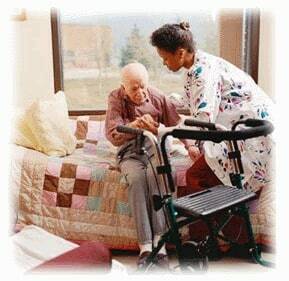 Have you or a loved one suffered as the result of the negligence of a doctor, hospital, or nursing home? Miller & Zois can help you. You are entitled to justice and compensation for the unnecessary harm that has been done to you. Our law firm, Miller & Zois, has a long history of getting results in serious injury and death cases in Maryland, earning large verdicts and settlements. Call Miller & Zois today to speak to a medical negligence attorney who can help you, at 800-553-8082, or get a free online case review.